Central Park of Maple Grove – Phenow Warming House selected for annual cedar industry publication! 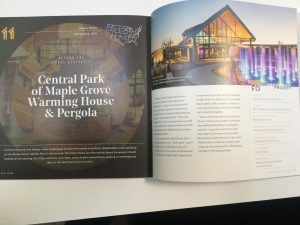 – U+B architecture & design, inc.
Central Park of Maple Grove – Phenow Warming House selected for annual cedar industry publication! Home » News » Central Park of Maple Grove – Phenow Warming House selected for annual cedar industry publication!